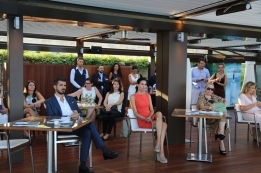 Thursday 13 July, just two months before the opening of the 27th Monaco Yacht Show, exhibiting brokerage companies, superyacht builders and the Show partners were given insight about the new initiatives developed to attract new superyacht prospective clients to the Monaco Yacht Show. 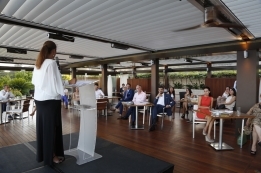 At Hotel Fairmont Monte-Carlo, Gaëlle Tallarida, Managing Director of the MYS, shared the “Sapphire Experience” to a select audience of industry guests. This programme of the Show visit is exclusively available for UHNWIs to enhance their MYS experience. 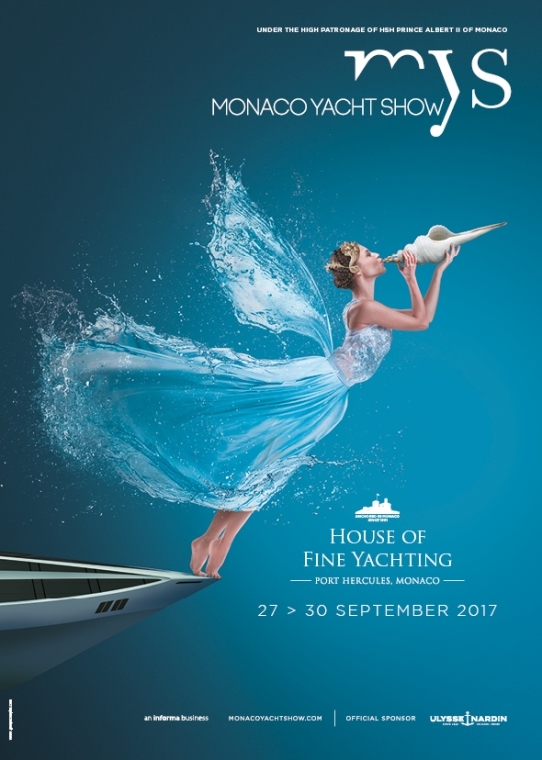 The MYS Concierge Service coordinates with yacht managers with yachts on exhibition to schedule private visits on superyachts within Port Hercules in addition to a full agenda of entertainment and activities during the Show. The evening was also the occasion to present the new physical shape of the 2017 MYS with a marquee on the new Quai Albert Ier, transformed after two years of public works. Quai Antoine Ier will offer a new epicentre of activities linked to the superyacht lifestyle. 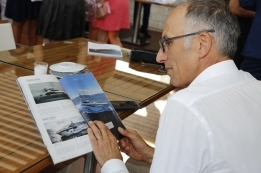 Quai Antoine Ier welcomes the return of the Dutch Pavilion of HISWA, the 2nd annual Car Deck – rare and exclusive luxury car exhibition and the Tenders & Toys Show, which will display the trendiest dinghies and water toys afloat and on the quay. Quai Antoine Ier is home to the Starboard, a new exhibition-lounge where Show guests may extend their visit with activities such as: art and decoration exhibition stands, restaurant with terrace, lounge, the worldwide yachting and lifestyle press displayed in self-service, the MYS Press Centre or meeting rooms available upon booking. 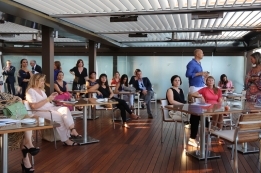 The Starboard is also available for exhibitors to host private events. The new zone fulfils the Monaco Yacht Show’s commitment to develop the quality of the exhibition befitting its international clientele. 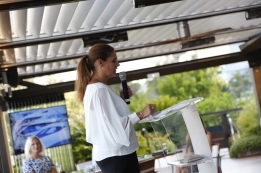 On September 26, the 2nd edition of the Monaco Yacht Summit presents a series of thematic talks led by industry experts who will share unbiased information to a delegation with potential first-time charterers and buyers. More details to follow in the coming weeks. The Principality of Monaco is the undisputed world capital of yachting with the the Monaco Yacht Show as its international Ambassador. 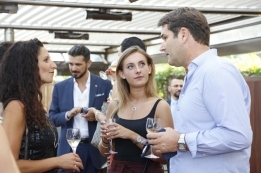 The Show brings together the social elite and the leaders from the yachting industry to experience the best of breed superyachts and supporting luxury services in the world.